We have slipped right into the rhythm of late morning starts and late night bedtimes. It's quite enjoyable. My favorite has been the mid morning walks down to the boulangerie and boucherie to pick up our breakfast items. That feels like Paris. We started our day this way again and then leisurely made our way to the Marais district for some shopping. The Marais district offers smaller boutique type shops nestled between historic buildings. There, we popped into the Musée Carnavalet, the museum of the history of Paris. No lines, no crowds, very pleasant. We finally had a little success in our shopping and once a couple of purchases were made, it was time for lunch and a restorative. We chose BDJ Café just down the street. It was a small café, so small in fact, the kitchen was about the size of a broom closet. I think the cook actually stood outside the kitchen to cook. Stella said, "I don't know what to have." to which I responded, "when in doubt, have the duck confit." It was the right choice. Shall I add that the potatoes were cooked in duck fat? After lunch...well it was now 5:00pm, we shopped for a bit more and then took the Metro back to the apartment. This morning, during our baguette and jambon purchasing run, we were torn as to whether we should buy a poulet from the boucherie. This was the one that got away the other night. 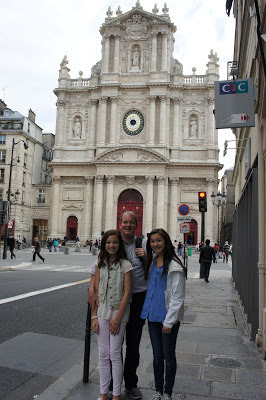 We had planned to go out and have a good Parisian meal tonight, but we could not resist. Every day since our missed rotisserie chicken purchase, the wonderful shop keepers at the boucherie have asked us if we wanted a chicken when we have gone to buy ham in the morning. So, we decided we shall eat in tonight and have our poulet. I warmed the chicken in the oven with a little melted butter drizzled over top. I made braised cucumber for a side and pasta with butter for the girls. Delicious! As this is our last day in Paris, before we start the driving tour portion of our trip, I thought I'd share a few random tidbits I've noticed about the city. As we've gotten familiar with a few of the shop keepers in our neighborhood, they have become quite friendly with us. People say the French can be a bit cold or abrupt. It might seem this way at first, but getting to spend a bit of time with the same folks, I've found this is not true at all. The French are quiet. That is to say, their conversations are meant for themselves. They do not speak like they need everyone around them to hear what a great or bad time they are having. And most everyone we've encountered has been very pleasant. People do not pick up after their dogs. Every morning, the poop from yesterday has been smashed down by some unfortunate pedestrian and new poops have been left behind. We noticed that in the morning, water pours out along the streets and there is a street sweeper cleaning the side of the road. This does not address the poops on the sidewalk though. How unfortunate. The food here looks like real food. The fruits and vegetables do not look pumped up or colored. They look real like I remember it looking like when I was a young kid. The meat has a deeper, richer color to it and the chickens do not look like small turkeys. People from Paris are generally attractive. Stella noticed this the first day. The boys and men are well groomed and dressed as are the women. For shorter distances, walking or the Velib bikes are the way to go. For longer distances, the Metro is most efficient, though beware of pick pocketers. The number 1 line, which our apartment was closest to, was the most convenient to get to all the major sights. You can't go wrong with wine in Paris. A recent phenomenon we've encountered back home is that we can no longer drink wine without suffering the next day. I'm talking about any amount of wine. And, when we do drink wine, it is more and more expensive for a good bottle. Since we have been in Paris, no matter what we order, it has been delicious, affordable with no bad side effects. At the market today, we noticed a bottle of wine for 1,69 Euro while a bottle of water was 2,59 Euro. When in Paris, drink wine! You can never have too many baguettes. At 1 Euro each, buy one whenever you even remotely think you may want one. 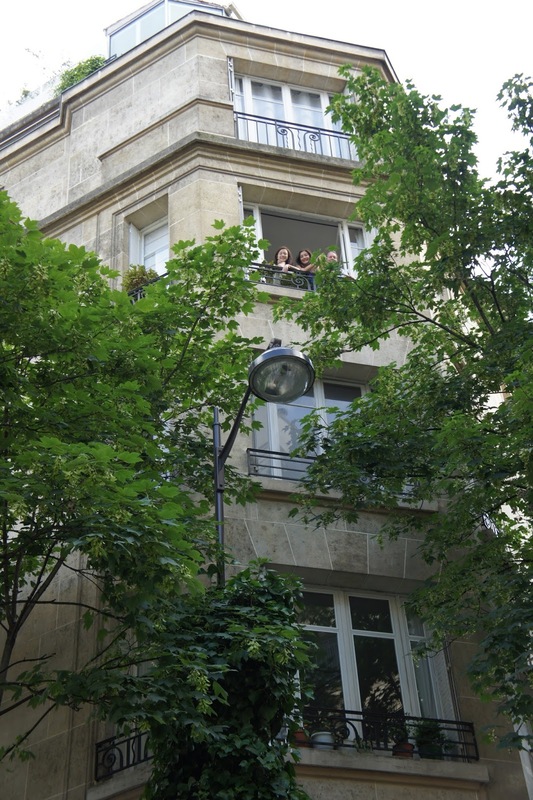 For a week in Paris, we thoroughly enjoyed having our own apartment for a number of reasons. We had ample space to relax, the ability to eat in, a taste of living the Parisian way, laundry capability and it was cost effective. Thank you Paris, for a fabulous week. We're off to new adventures. This has been so much fun to read! 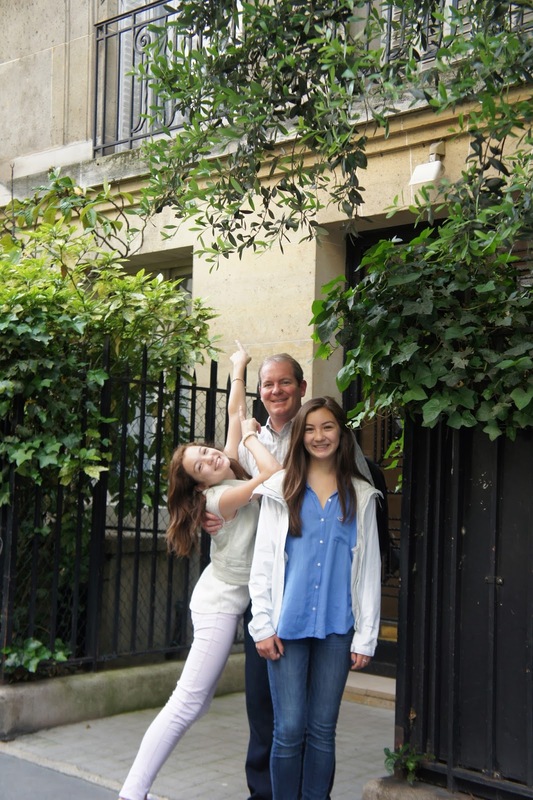 Thank you for sharing your Paris adventures. Thanks Nicole! It was a fabulous trip! So much fun. We look forward to going back another time and just hanging around without the pressure of doing all the sightseeing. Seems a fun trip Marie, certainly you reminds one of mine. Paris is always been special to me, Me and my fiancé had a great time there and we enjoyed those moments very much. Paris is a dream destination like a heaven for any couple. We spent two beautiful weeks of our lives there and enjoyed a lot. With a beautiful Paris apartment it's really like a home far from home.